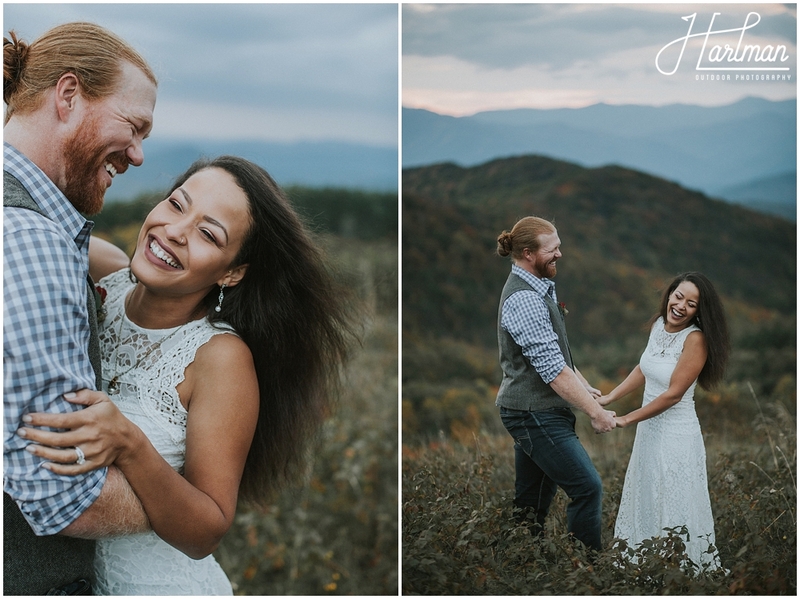 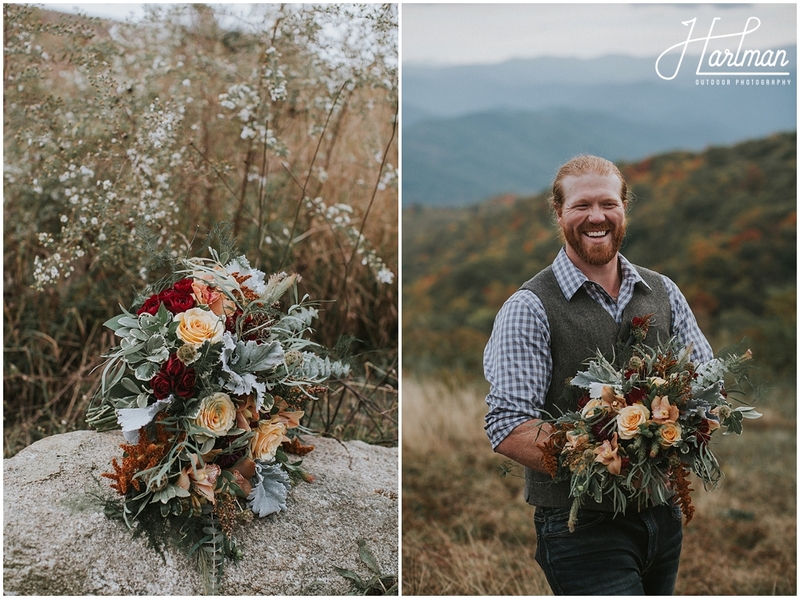 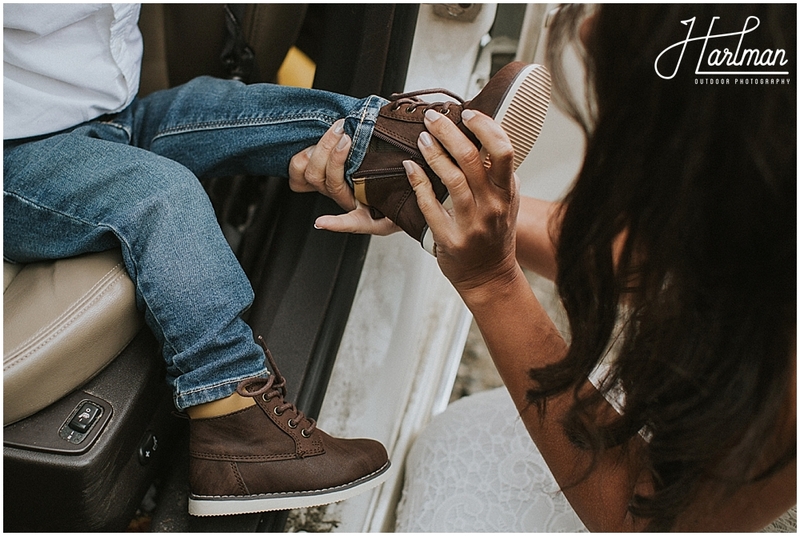 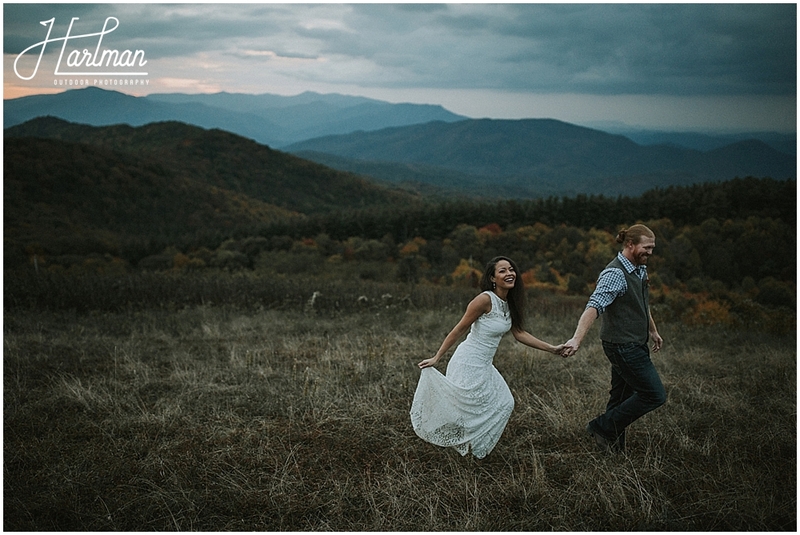 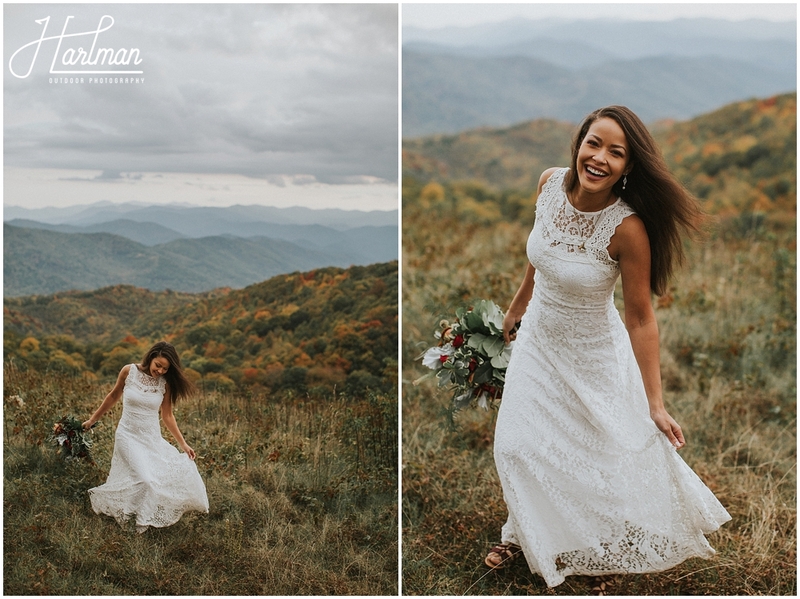 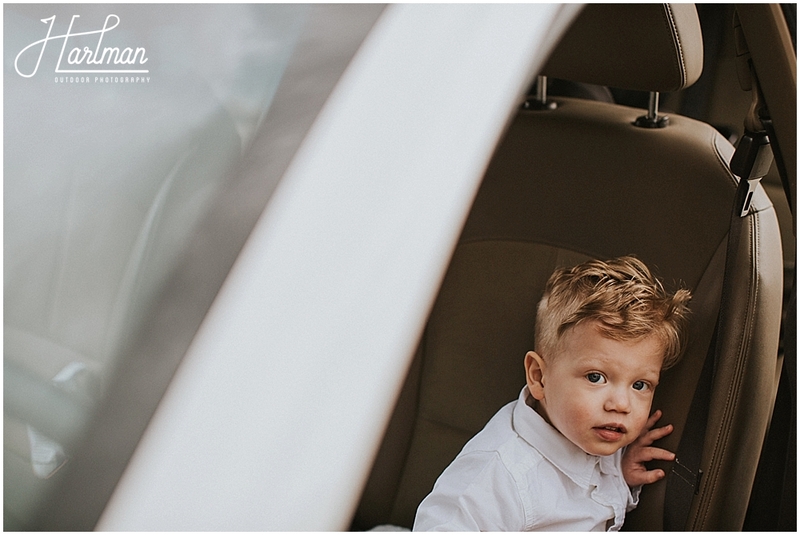 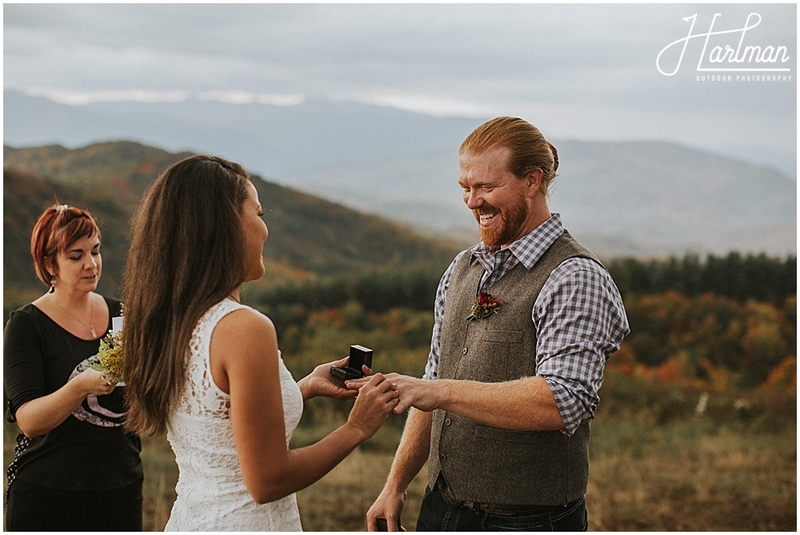 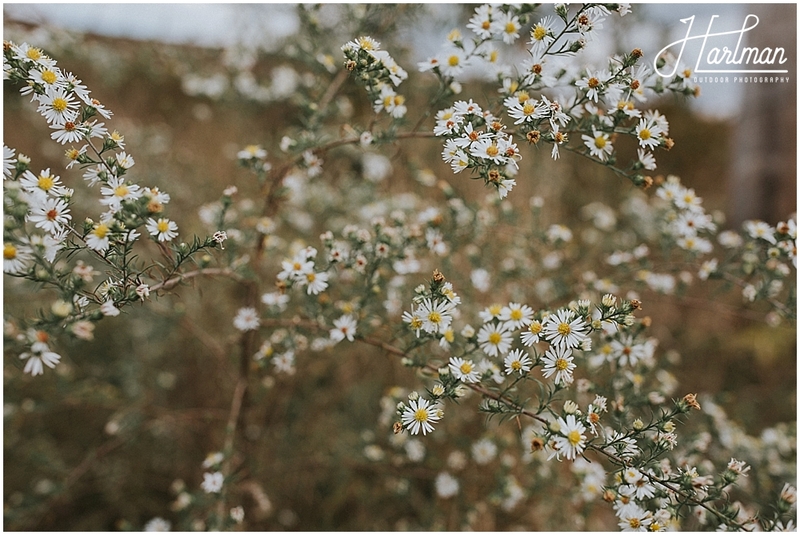 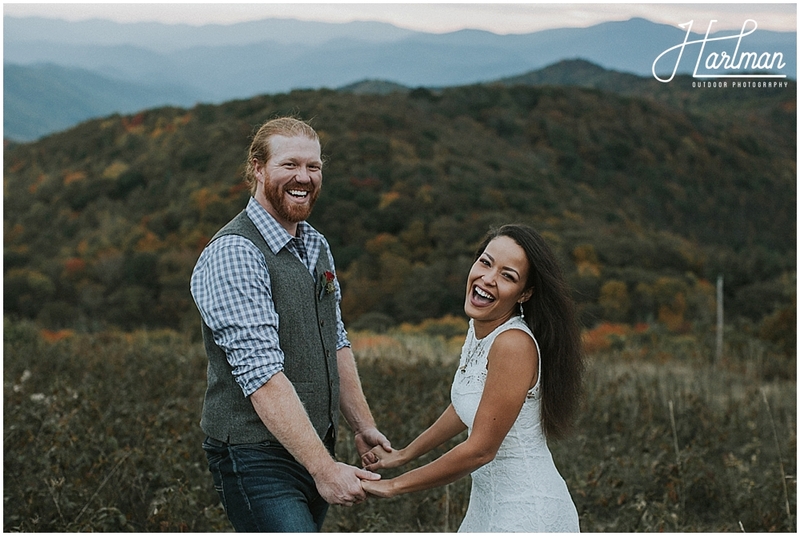 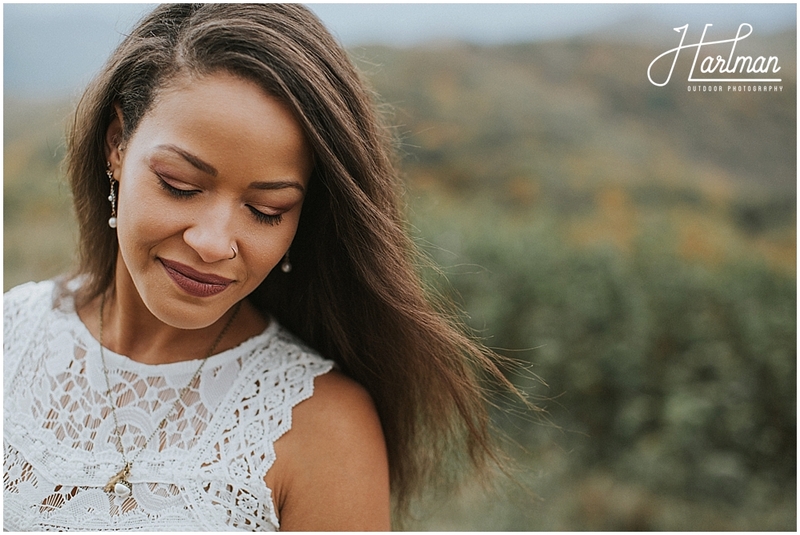 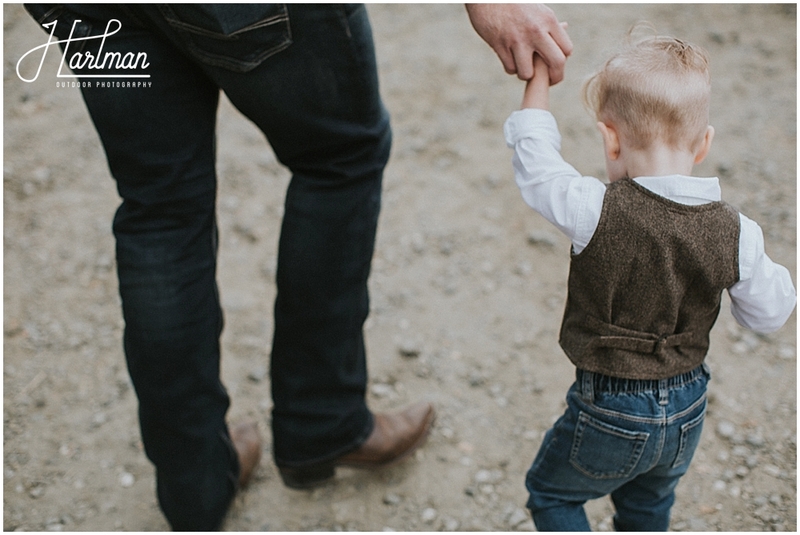 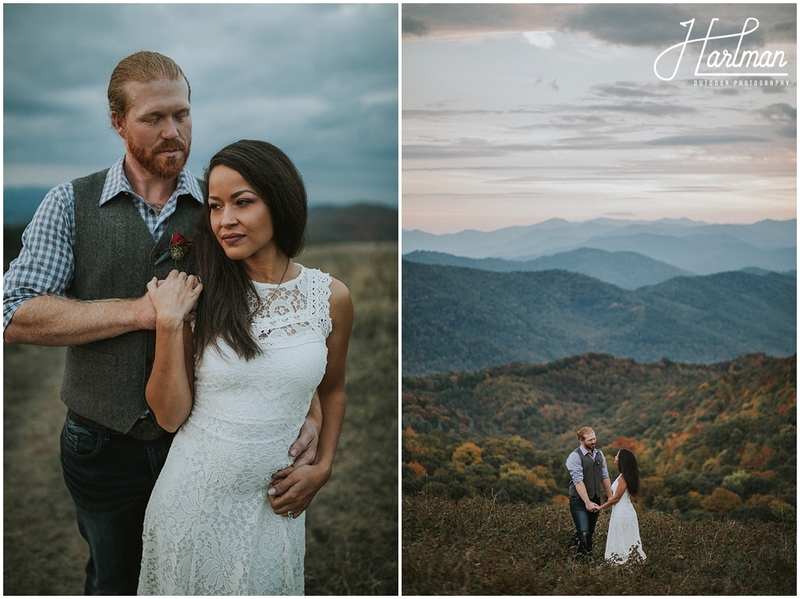 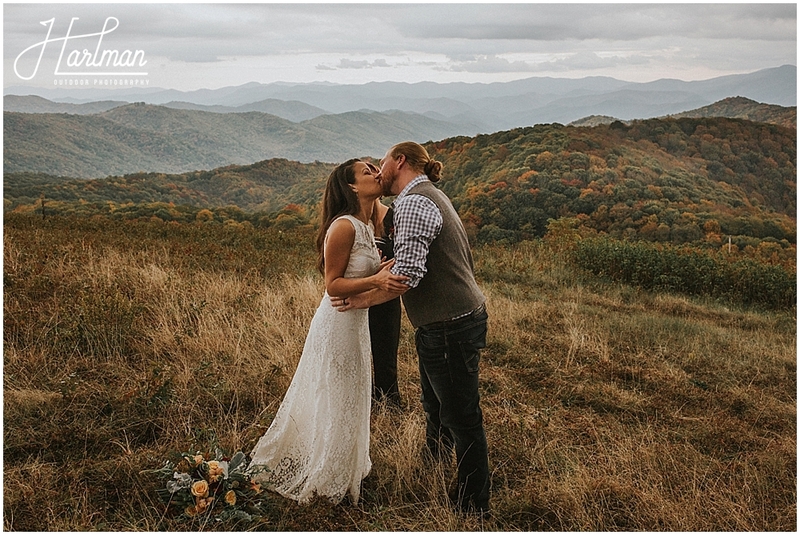 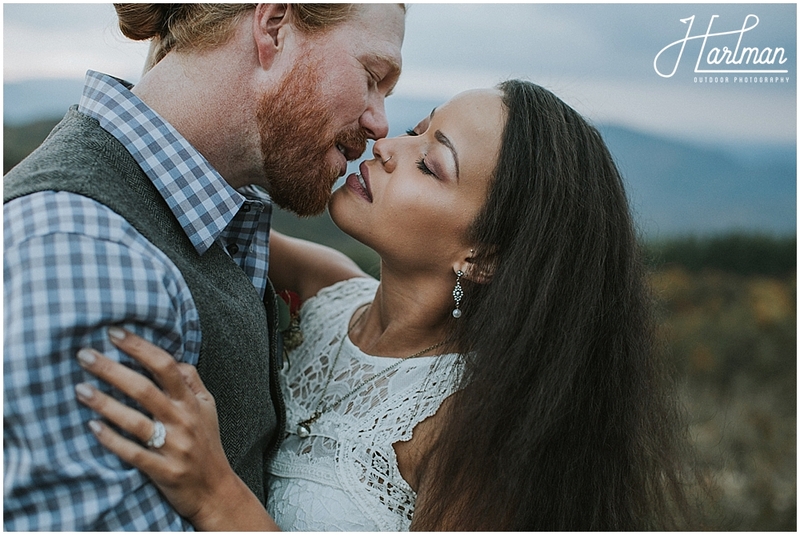 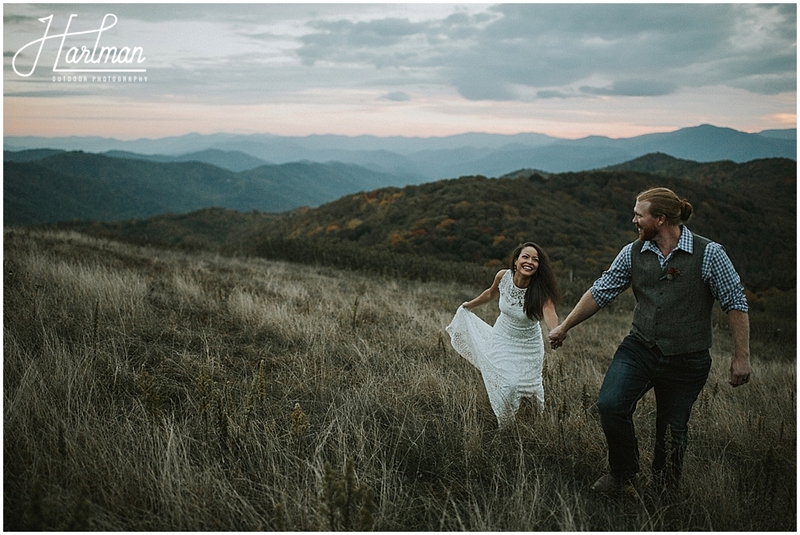 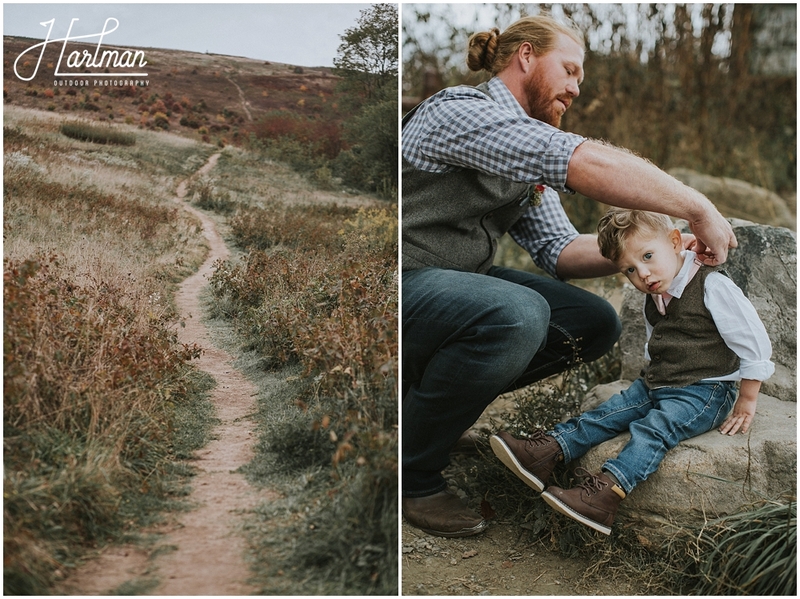 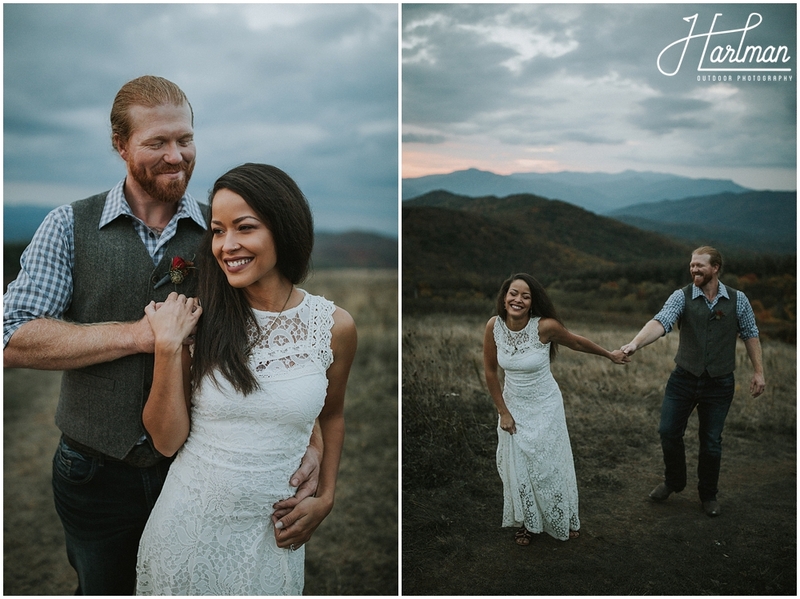 Brittany and Adam told us that the month before they eloped, they were just hanging out at home, and decided that they wanted to get married up in the mountains this fall. 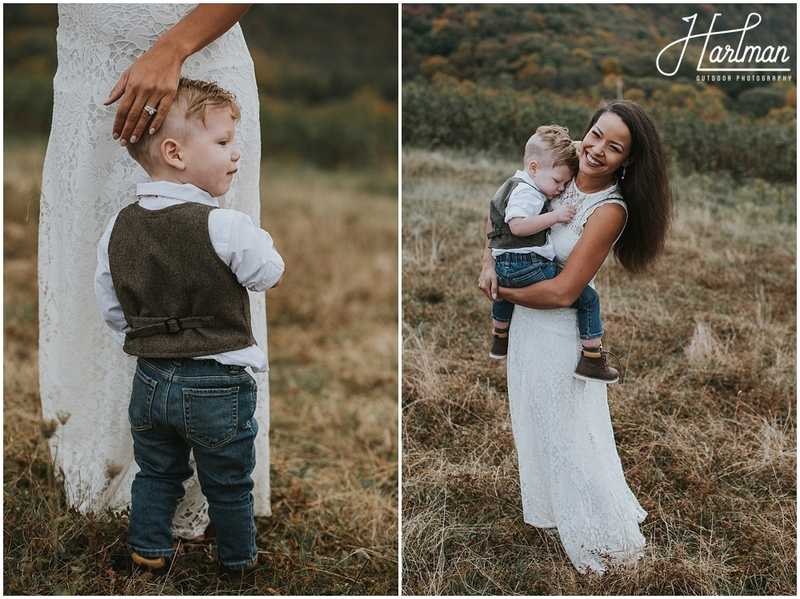 No one knew- not even their parents! 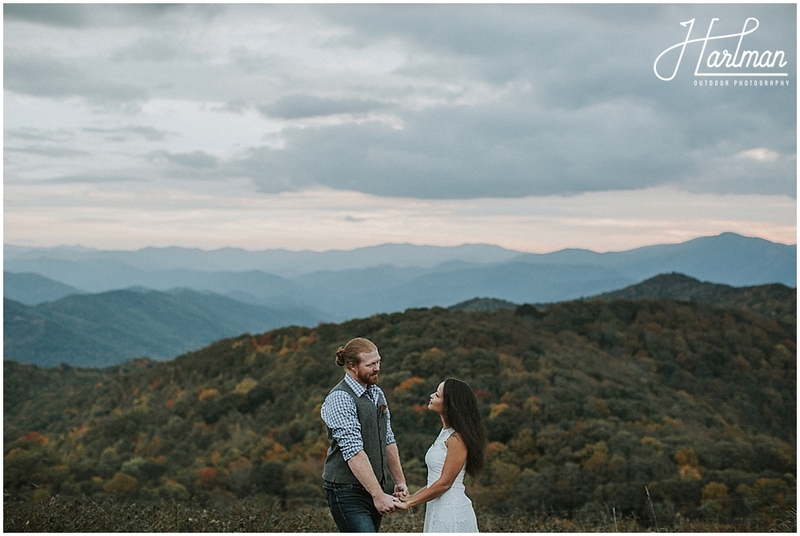 Brittany and Adam drove up to Max Patch Mountain from their home in Georgia. 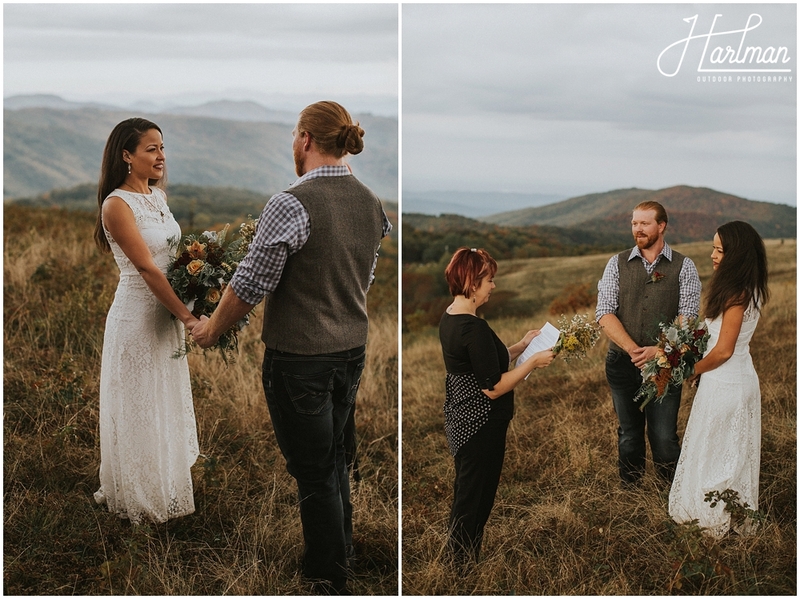 Their only attendants included their officiant, Josh and I, their son AJ, and a set of friends who drove in from Asheville. 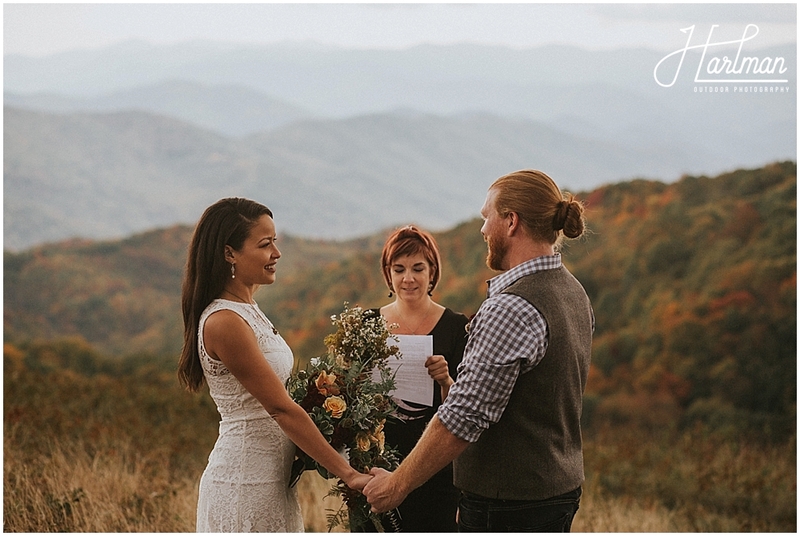 It was a true elopement, and it was wonderful. 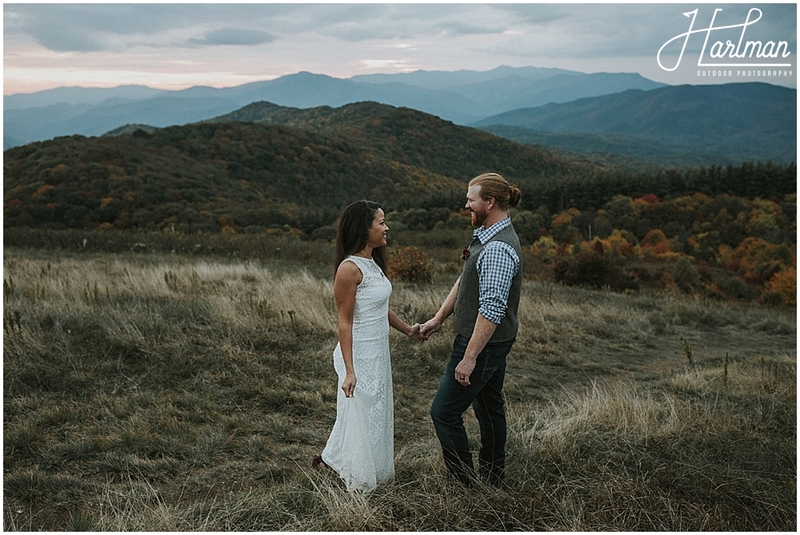 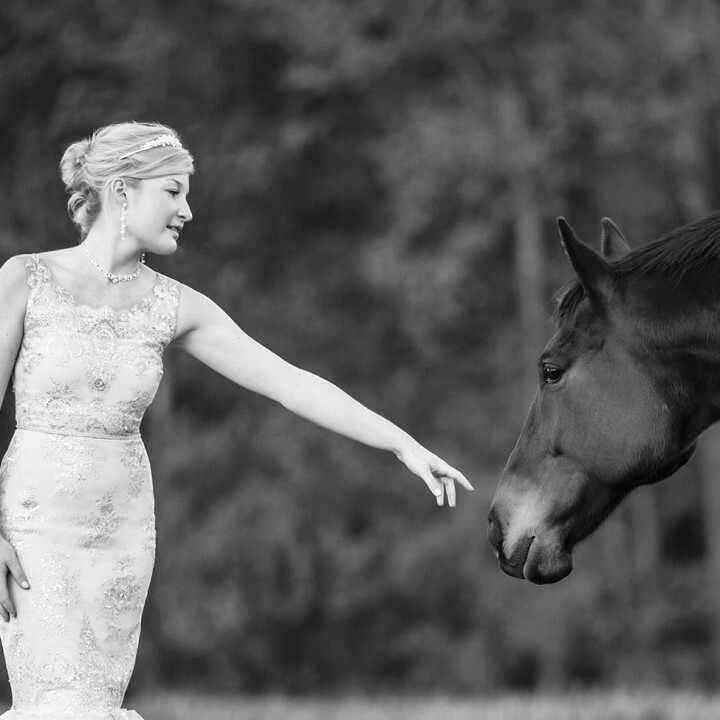 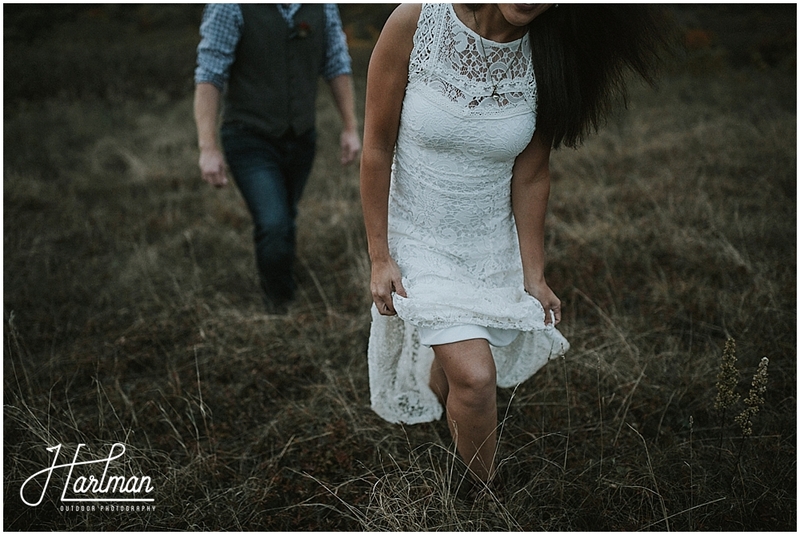 The week of their wedding, Brittany asked us to choose their ceremony site. 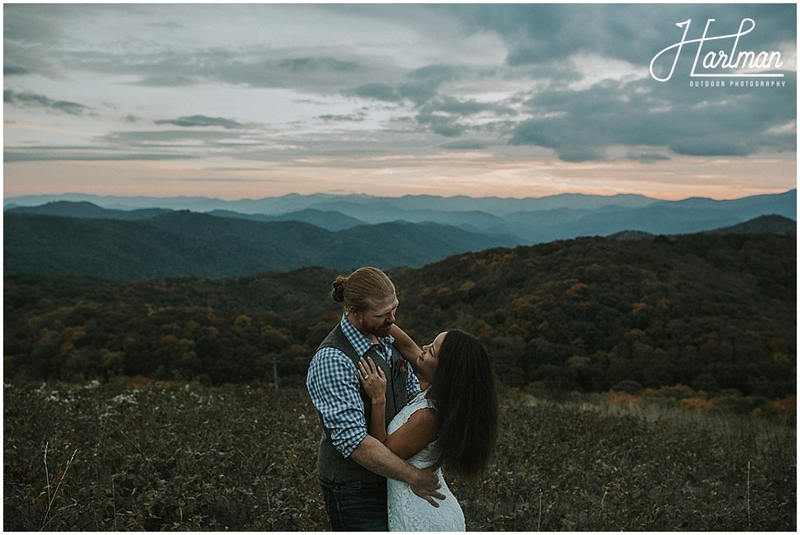 We were already up camping at Max Patch for the week with our Casita, so we scouted all over the mountain for the best spot. 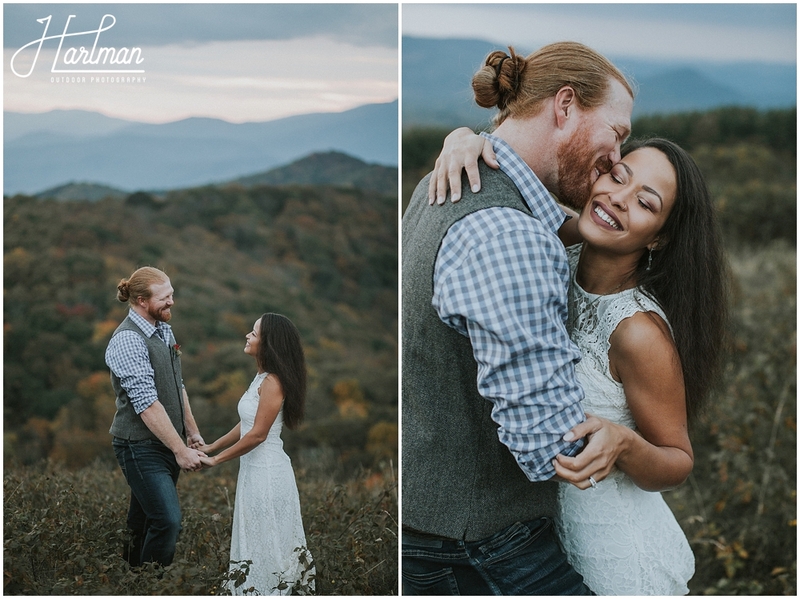 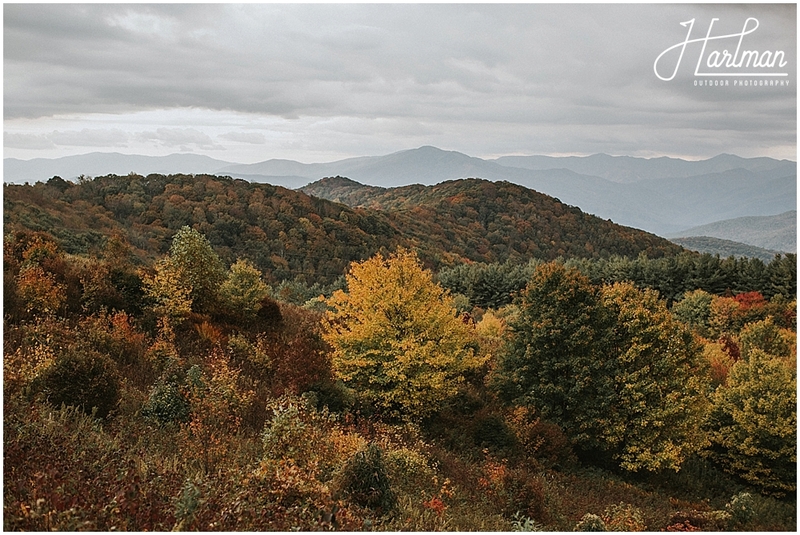 The area we found was slightly off the beaten path for a little more privacy, had great blue ridge mountain views, and was situated right in front of where the sun sets behind the mountains. 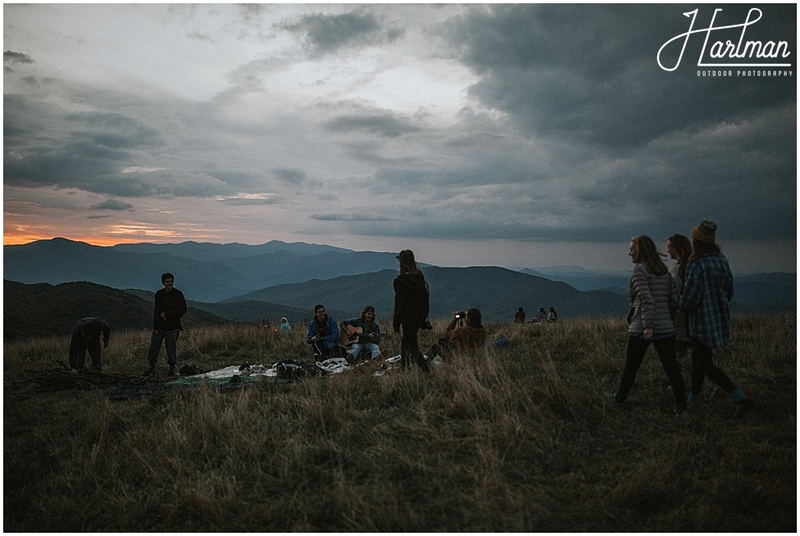 Max Patch Mountain is an amazing open bald located about an hour outside of Asheville and Hot Springs, North Carolina. 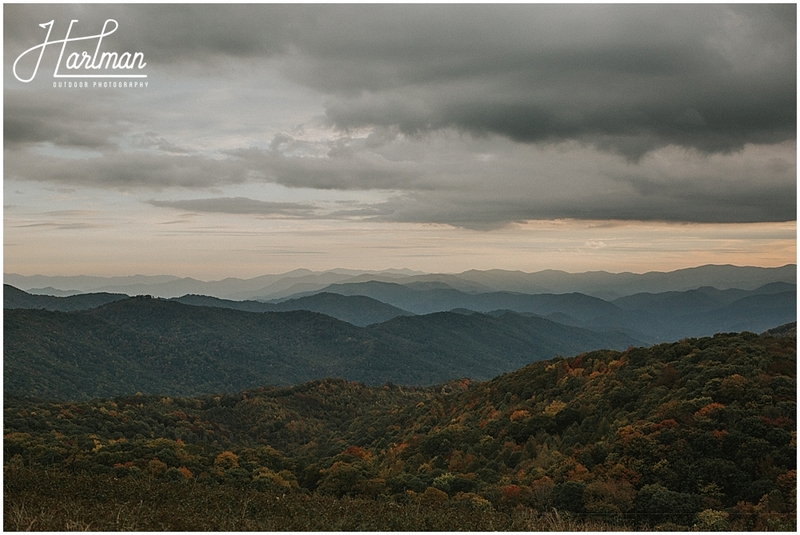 The Appalachian Trail runs through it, and there are 360 degree views of the surrounding blue ridge mountains. 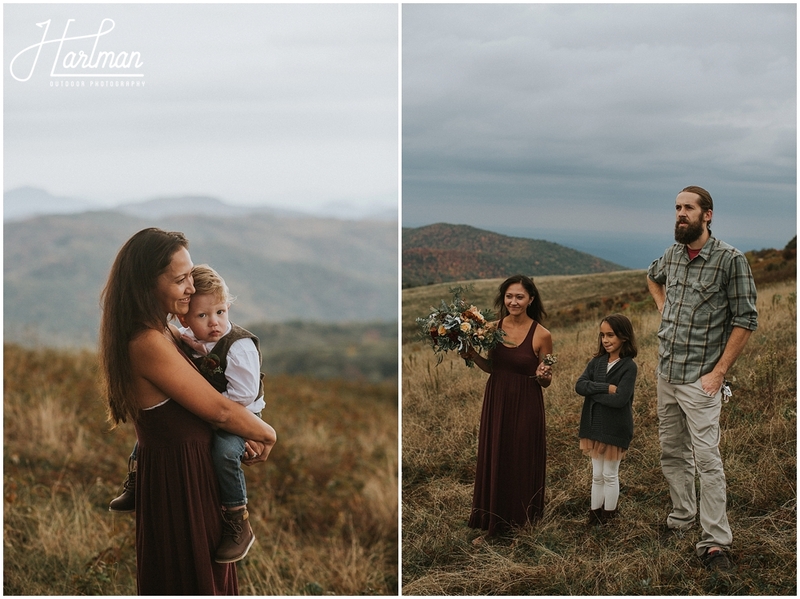 We met up with Brittany, Adam and AJ in the parking lot and hiked up the mountain to take them to our spot. 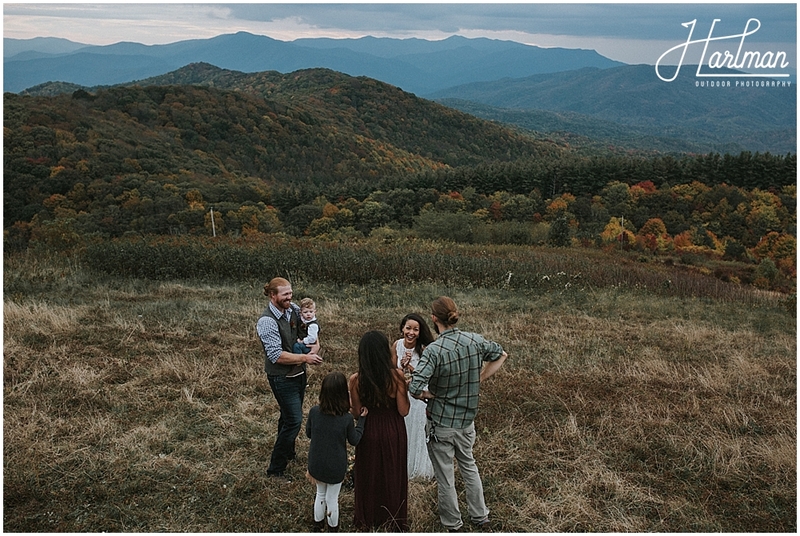 I think everyone agreed that the hike was well worth the views. 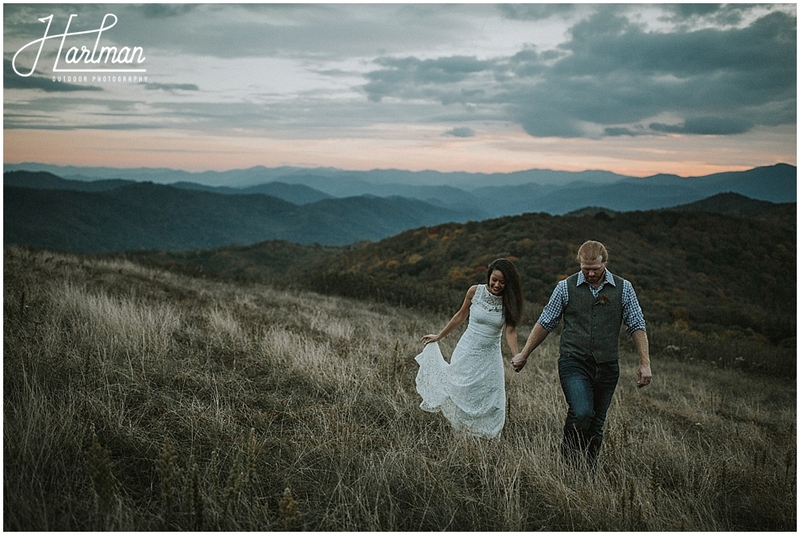 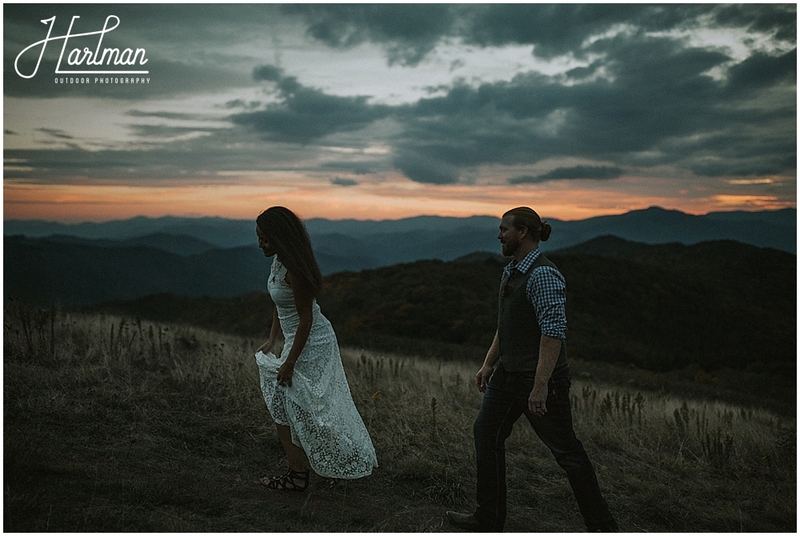 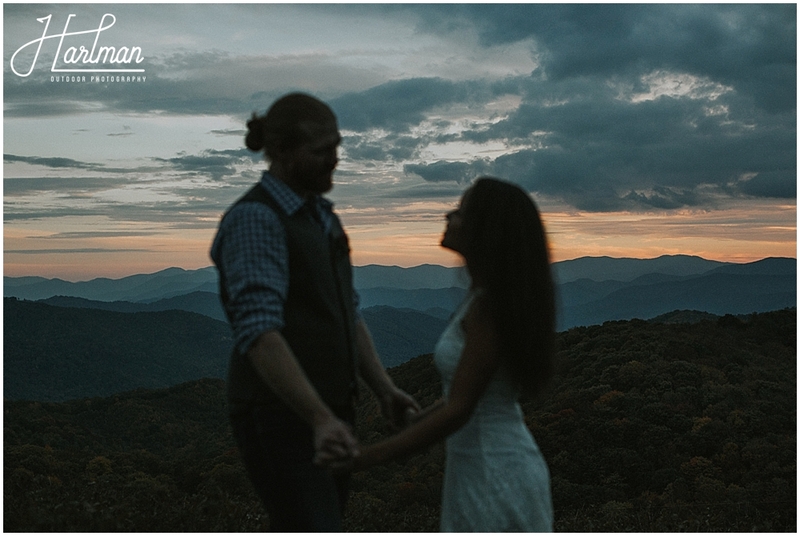 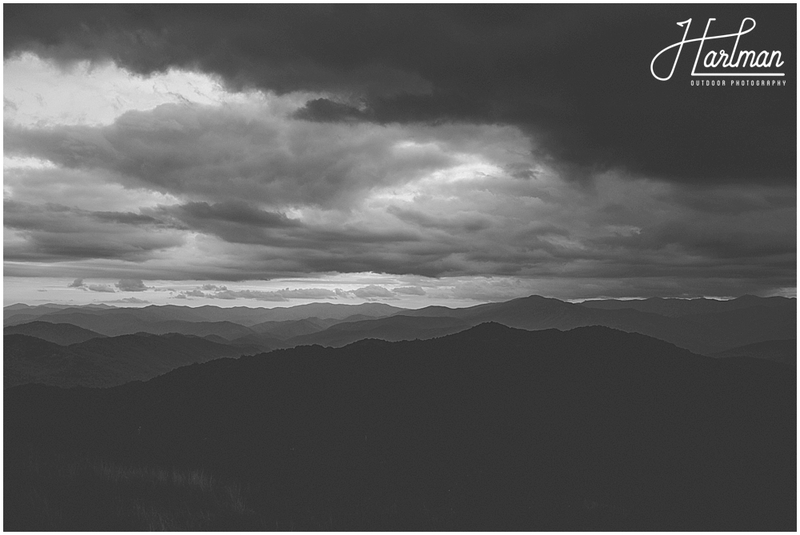 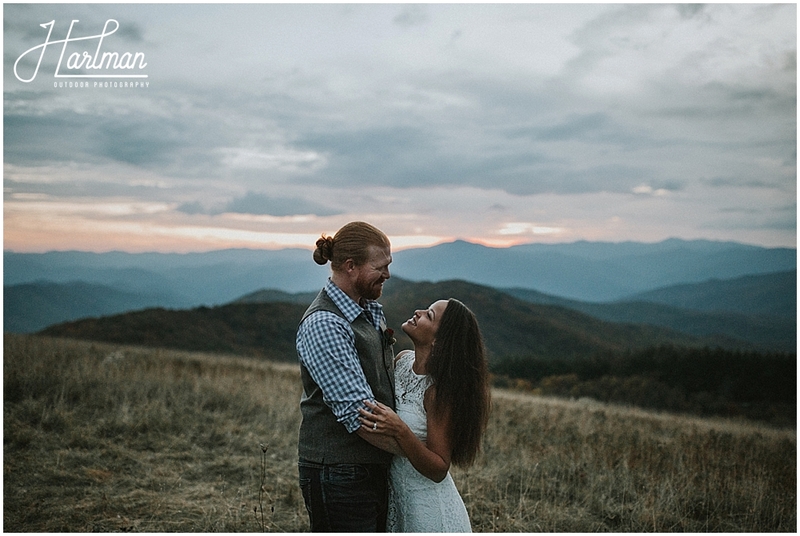 Brittany and Adam made their vows to each other right there in front of the sunset and those epic blue ridge views. 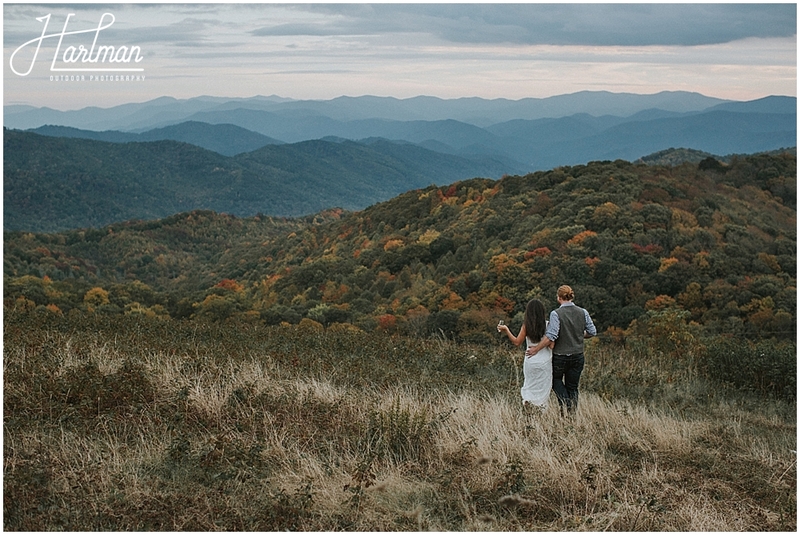 Peeks of fall color shone through on the surrounding mountains. 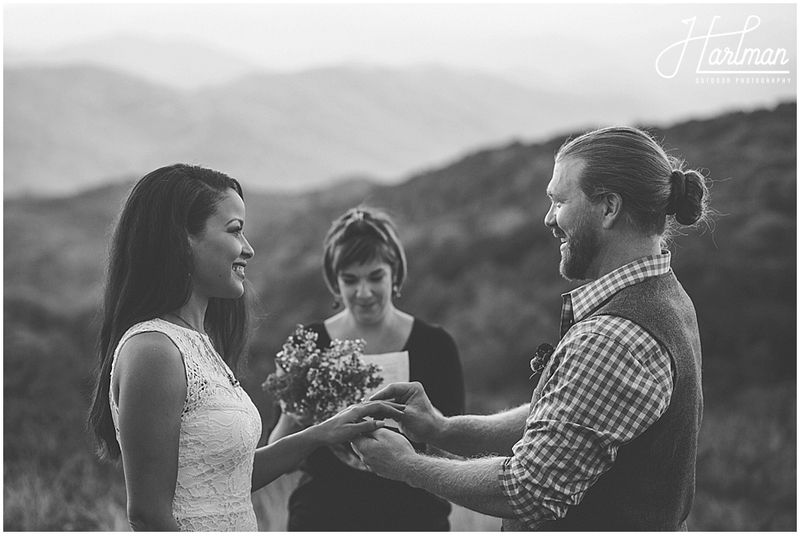 Everything about their ceremony was lovely. 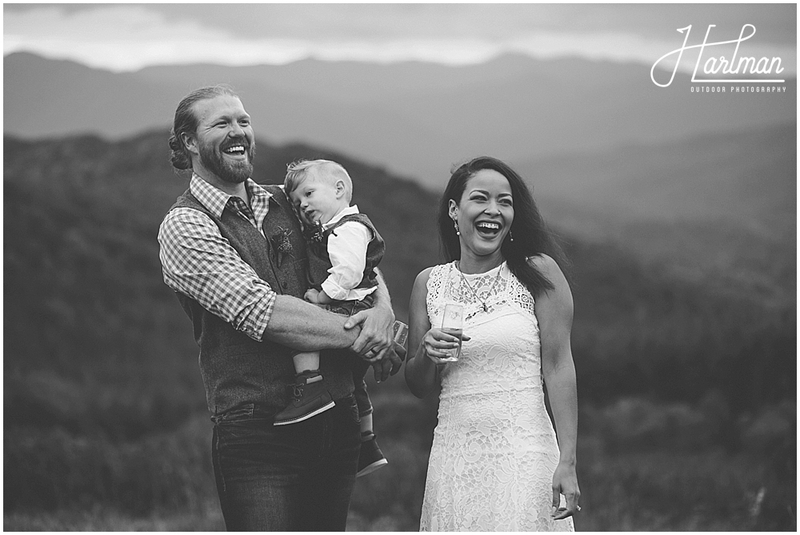 Afterward, we popped some champagne to celebrate and then headed off with the two newlyweds for some couples portraits. 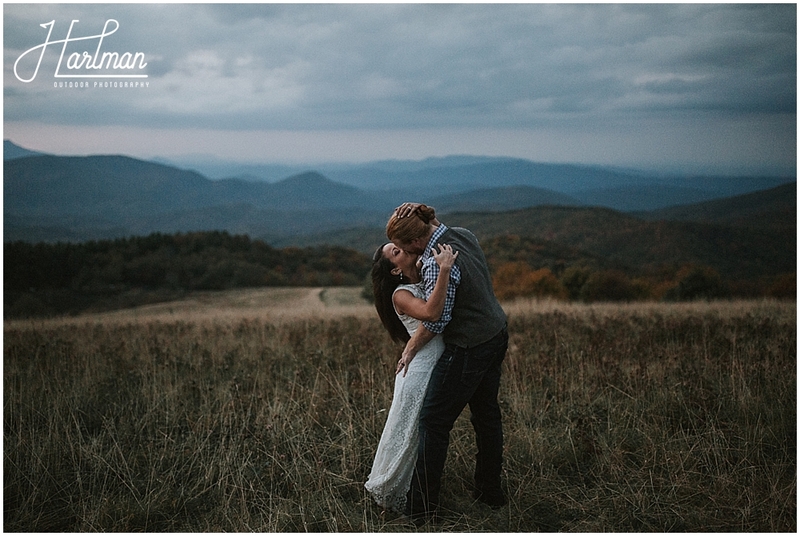 The lighting on Max Patch this evening was just exquisite and we shot well into the blue hour. 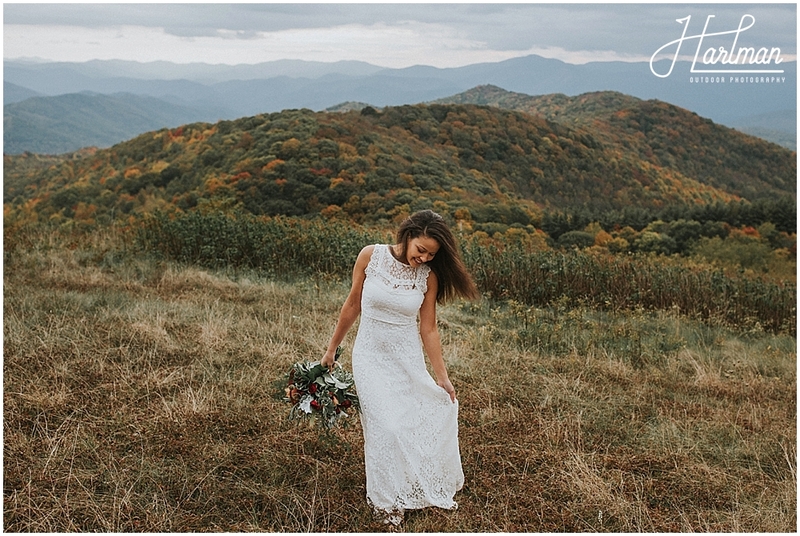 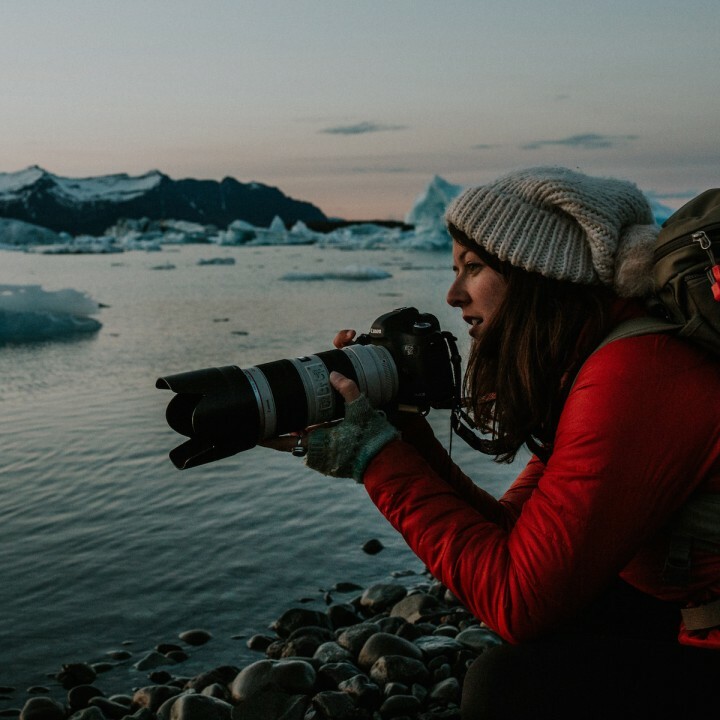 As we hiked out of the private ceremony spot we were in, we saw groups of hikers setting up their tents atop the mountain, playing guitar, and running around. 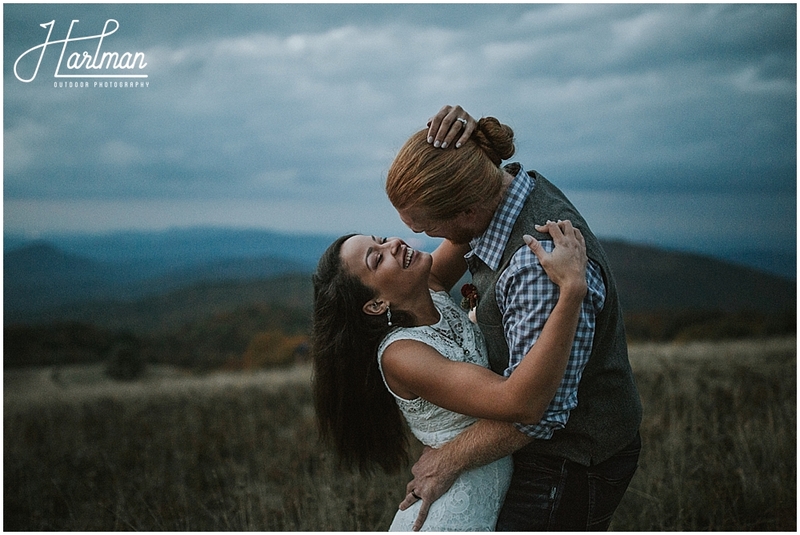 It was a full moon that night which only made everything that much more magical. 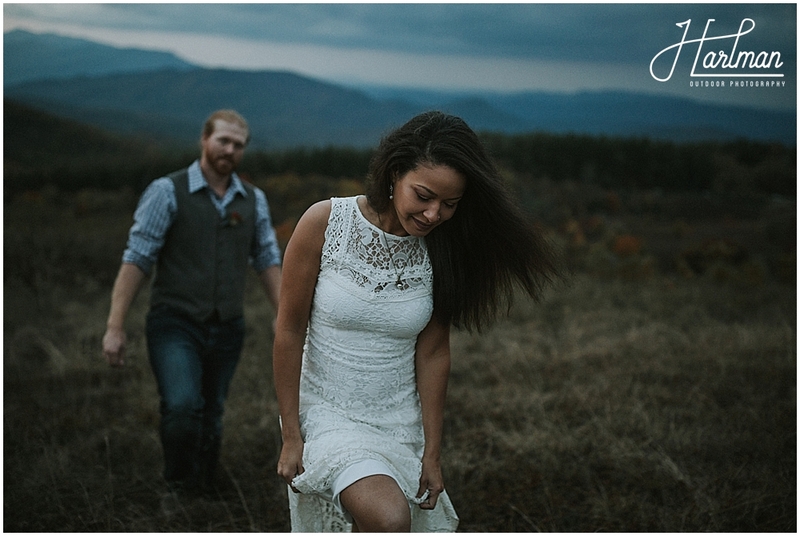 We literally shot until there was no more light left for us to shoot in and then hiked back down the mountain with Brittany and Adam. 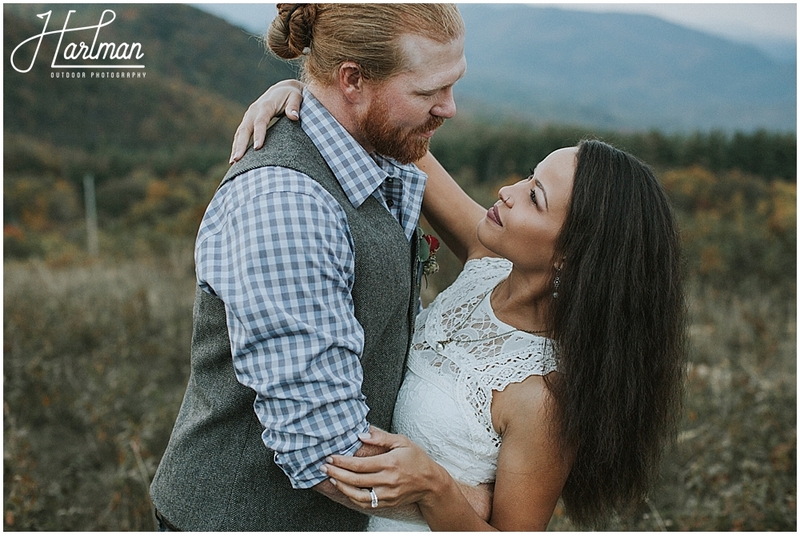 Brittany and Adam, it was such an honor to be able to share in this intimate wedding with the two of you. 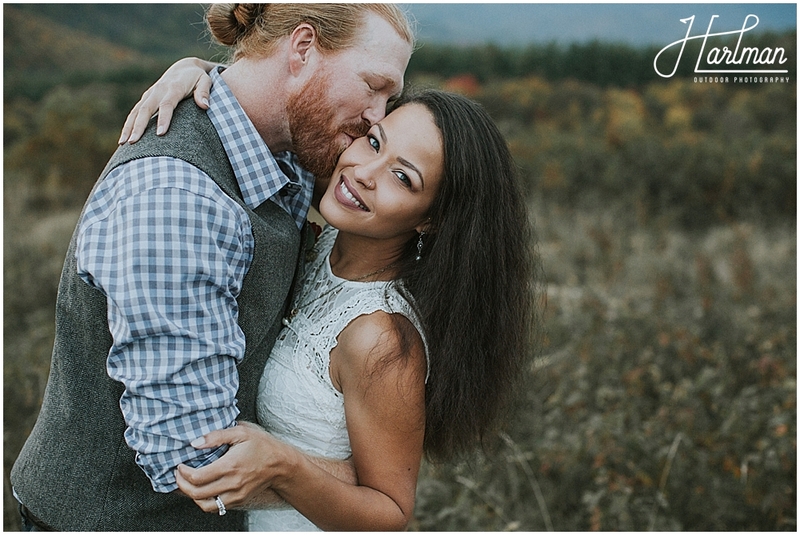 We wish you both the absolute best as you begin this new journey together.